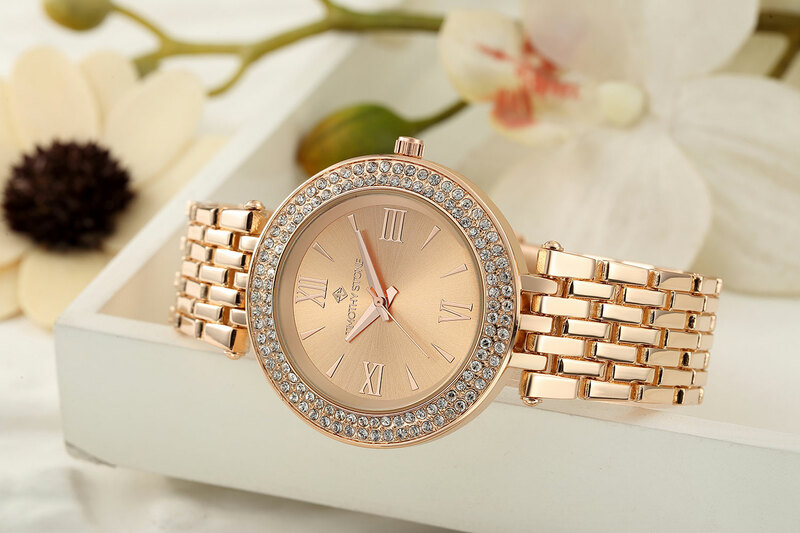 Dial up the dazzle the Burst Bicolor that flaunts luminous alloy links and a shimmering crystal bezel. Roman numeral markers exude season-spanning appeal. 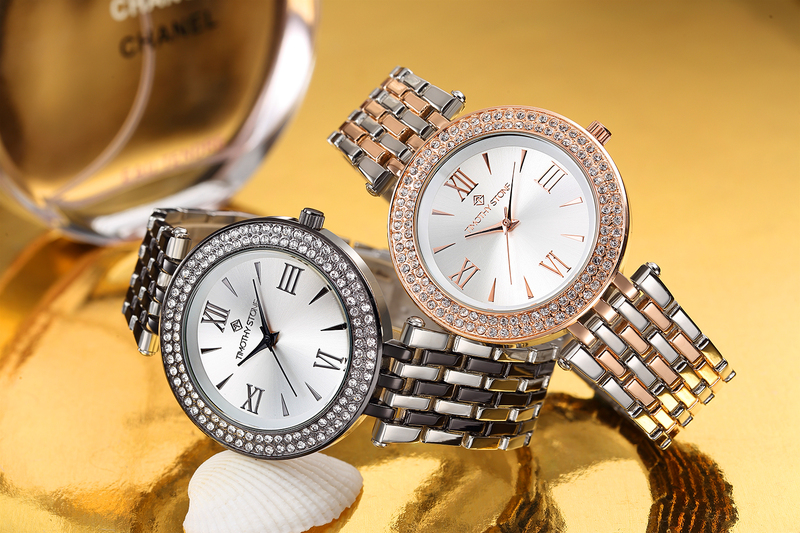 Dial up the dazzle in this elegant watch collection that flaunts luminous alloy links and a shimmering crystal bezel. Roman numeral markers exude season-spanning appeal.